Upfront disclaimer: I received a free sample of each product for purposes of sharing my honest opinions. Sweat. Specifically, on my hands. It keeps me from being able to go more deeply into basic poses such as Downward Dog, in which about half your body weight is on your palms, which must be stable on the mat. I have tried a hand-towel, which has helped, but I still experience slippage when there is an abundance of internal or external heat and the resulting sweat. Which is nearly every session. So I was very excited to try Yoga-Paws. They're billed as "mini-mats," since you simply place the hand-paws and foot-paws on your extremities and you're set to do yoga on any smooth surface, even without a mat. Yoga-Paws put eco-friendly mat material right on your palms and soles to help you keep from skidding. There is also mesh netting to help keep you cool on the non-contact sides of your hands and feet, allowing them to breathe. I've used Yoga-Paws for several yoga sessions now on a mat, and here are my findings. The hand-paws work very well in avoiding sweaty skids. I was able to hold poses longer and get into them more deeply thanks to the stability of my hands -- so I got what I sought. When at classes at my gym, on a hardwood floor, I have no problems at all. Oddly, though, at the yoga studio, where there is a linoleum floor, the webbing between my fingers (that hold the paws on) bother me with chafing. I am not sure if or why the flooring would account for the difference, but I did want to share my observation. The foot-paws are not as imperative for me, since I don't have much trouble with foot skid. But in using the foot-paws I did feel a little more stable on upright balance poses (such as Tree). However, when I flowed into horizontal standing poses (such as Warrior 3) , I realized that there is a subtle adjustment I must make in my foundation when I wear the foot-paws. It changes my balance just a skosh, making me more conscious of my lower body. Not a bad thing. I'm sure as I practice with foot-paws, I will get used to my new "stable." Yoga-Paws are $35 for a set that includes both hand and foot paws. Also included is a mesh carrying bag. Yoga-Paws join my mat and my water bottle in my yoga kit. See below for giveaway information. I've been listening to Sonic Bliss for a couple of weeks now, and one time it even led to a Perfect Moment. Each of the 7 lengthy songs make me want to move and sway and release -- joyously. The chants use ancient Sanskrit words that evoke love, joy, peace harmony, rejuvenation, balance. I especially love Remover of Obstacles (Mantra to Ganesha) and Goddess Power (Mantra to Kali and Durgha, about the cycle of death and rebirth). The CD insert gives insight into each song's meaning and purpose. This is my first introduction to Bliss Wood, and I'll be checking out more of her stuff. $19. OK, this isn't a yoga book, but it is a delightful and short (140 pages) manual on small things we can do to save the world. Chapter 2: Stop & Go has a short section on "A/C or Windows?" Chapter 11: Happy Holidays details the impact you have on the world if you declare one "Buy Nothing Day." You don't have to be a Big Shot or do Big Things to make a different in your world. Authors Sam Davidson and Stephen Moseley intend to get many people doing millions of small things. Consciously. $12. Yoga-Paws is offering a giveaway of one set of Yoga-Paws to a lucky All Thumbs commenter. Leave a comment below by 6 am MDT on June 8. Using random.org, we'll select a winner and let the winner know either in this space or by email (if available). Yoga-Paws will be sent directly from the kind people over here . A reminder that we HUGELY appreciate you telling your friends about AllThumbs and spreading the word on your blog with this button so that we can keep these giveaways coming. So the winner is Campbell. Thanks to everyone for entering and for supporting All Thumbs! Another yoga post with giveaway will come June 15. So cool!!! I have a husand who would like those actually! he does yoga far more regualarly than I do. I, too, am abit clumsy when it comes to exercise, and have wanted to give yoga a try to help ease my arthritis. I would love to be entered intot he drawing, and have a button on my blog for All Thumbs! I would love to win these. - could give them to my BIL for Christmas. SHHH Amie don't tell. I have tweeted already and have a place on my blog for you. Very cool, as always I love reading your reviews! Oh, these would be fabulous! What a great idea! These are a really great idea! I may buy these if I don't win! 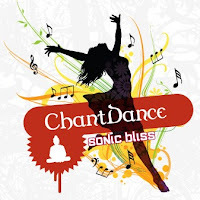 I listened to Chant Dance today as I was doing my yoga. It invitorated my practice and elevated my mood. Perfect! I would love to win the Yoga-Paws. Then I could do yoga whenever and wherever I choose! Namaste! You find very cool stuff my friend - very very cool. I have the same problem with wet hands...good to know there's a possible solution! Thanks for the review. This is a neat giveaway! I would love to try these for my yoga workouts! I would love to win these Yoga-Paws. Love it!! I have NEVER been able to 'stick' with yoga because I get so frustrated sliding out of poses. My hands and feet sweat like crazy. The paws sound very interesting. Cool! I retweeted and I'm adding your button to my blog. Very cool! I could definitely use this! I have wanted to try these out! I retweeted - twitter userid is monkeyswashtub! Such a great giveaway!